Welcome - TruForm Building Products Inc.
We Specialize in Window Screen Products and Insulated Glass Components. TruForm Combines Premium Fenestration Products and Industry Leading Customer Service to Provide you With Customizable Window Component Solutions. 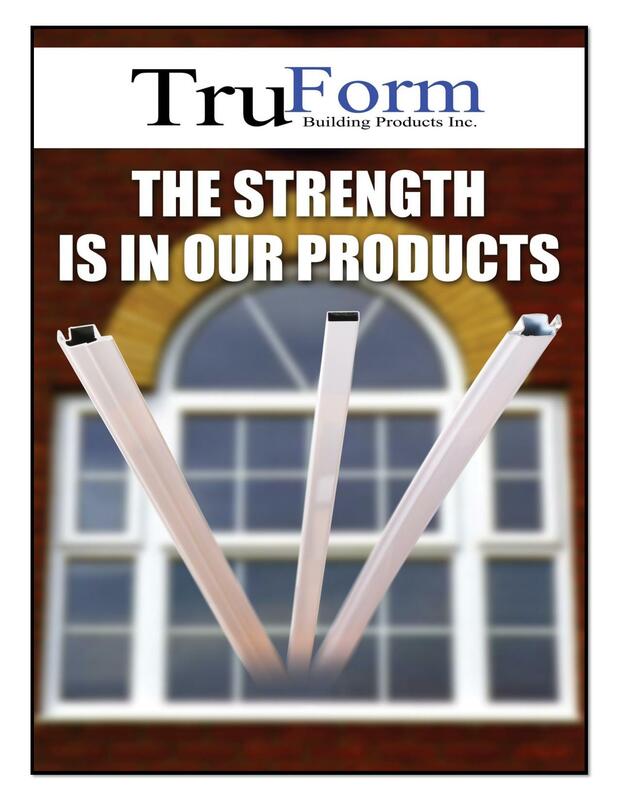 ​At TruForm Building Products our experience in the fenestration industry allows us to understand your needs. Whether you are manufacturing windows, patio doors, window screens or insulated glass units, our knowledgeable staff is able to assist you in getting the correct product. TruForm manufactures the highest quality rollformed aluminum window screen profiles in the industry. In addition to our in house manufacturing we are distributors of Technoform high performance warm edge spacer, ADFORS screen mesh products and Allmetal products (see the” about tab” for links). So if we do not stock it we can get it. We Offer Daily local deliveries allowing you to maintain minimum inventories and reduced overall material costs. Our approximation to our customers, both in Calgary and Toronto allow us to react quickly to customer requirements. The goal is to keep your costs down and meet your daily production demands. TruForm’s sales staff are knowledgable in all aspects of the fenestration industry, specialising in window screens and insulated sealed unit systems. If we cannot provide an existing solution for your requirements then we have the in house design expertise to solve challenges brought on by an ever changing market. Feel free to either search our site for the product you're looking for or, better yet, Click the "Contact Us" button below to get in touch with us directly. We pride ourselves on our ability to provide our customers with Quality Fenestration Products, a Knowledgeable Sales Staff and some of the best Screens, Window Spacers & Muntin Bars available in North America. OUR CUSTOMER'S SUCCESS IS OUR SUCCESS! If you'd like to see how TruForm Products can help your company, Please contact us now. Copyright text 2017 by TruForm Building Products Inc..